Stations of the Cross is a Catholic tradition that grew out of a desire to replicate pilgrimages to Jerusalem. Today, they help Catholics remember the final days of the life of Jesus Christ as they move through a series of wooden crosses that have been blessed by a person with the authority to do so and pray. Some consider it reparation for the suffering and loneliness of the Savior’s personal Via Dolorosa. Pope Pius XI considered it an obligation for Catholics and John Paul II praised those who make an effort to stand by the endless crosses the Savior endures even today through abuse and mistreatment from those who do not honor the Sacrifices He made for them. Although Mormons don’t participate in a formal ceremony, they do teach the principle behind it. As Pope John Paul II said, we must stand beside the Savior. 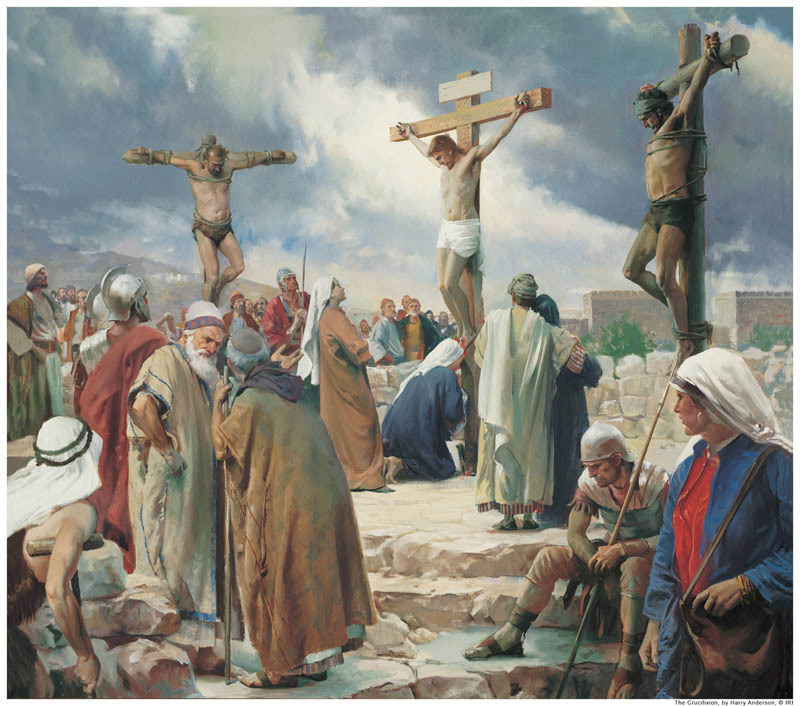 It could be said then, that Mormons carry out the Stations of the Cross every moment of every day, standing by the Savior, defending Him, serving as witnesses of Him, and making sure they give meaning to the Atonement of Jesus Christ. Their leaders teach them that ours is not a religion that can be lived only on Sundays for a few hours. It must be lived at all times in order to be meaningful. One way Mormons stand by Jesus Christ is to set an example of Him. When we’re baptized we take on His name, and even young children, who can be baptized at age eight, are taught that this is a sacred responsibility. When we take on His name, we have a responsibility to represent what He believes as much as possible, and to make the word Christian a meaningful and positive word. We try our best never to degrade His sacred name. While no one but the Savior was ever perfect all the time, we have a responsibility beyond that of others when we call ourselves Christians. The Lord does most of His work through other people. When someone needs to be fed, He points them out to a person who has food. When a child of God needs a home, it’s provided through inspired service of another human being. When Jesus makes us aware of another person in need, it is our responsibility to pay attention. If we look the other way, make excuses, or waste time analyzing whose responsibility it really is, we leave the Savior alone. When we study the commandments on Sunday, but forget them on Monday, we leave Him alone. When we falter and choose not to repent, we leave Him alone. Stations of the Cross is a lovely way to remember the sacrifices Jesus made for us, strengthening their ability to do so all year. While Mormons don’t participate in this ritual, they have a sacred obligation to remember those sacrifices every day of the year, even without the reminder of ceremony.